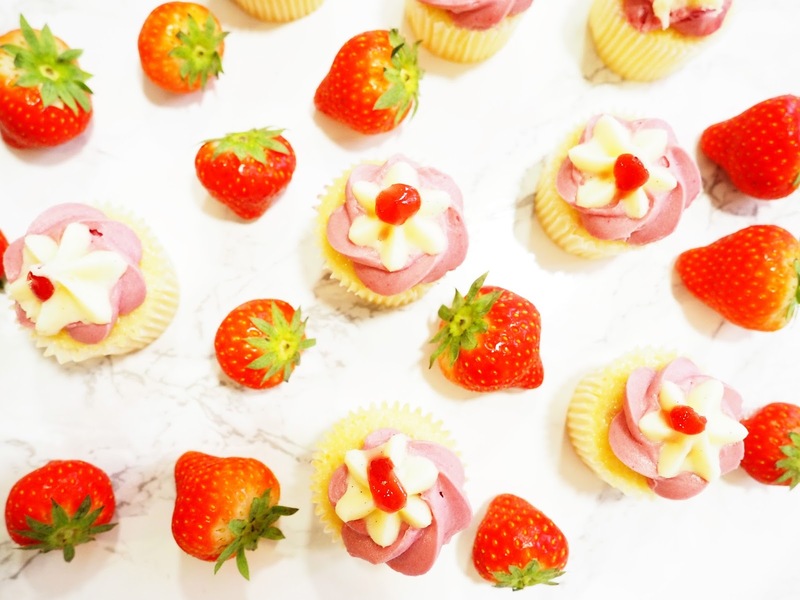 LIFESTYLE | VeryBerryCosmo’s 1st Birthday! 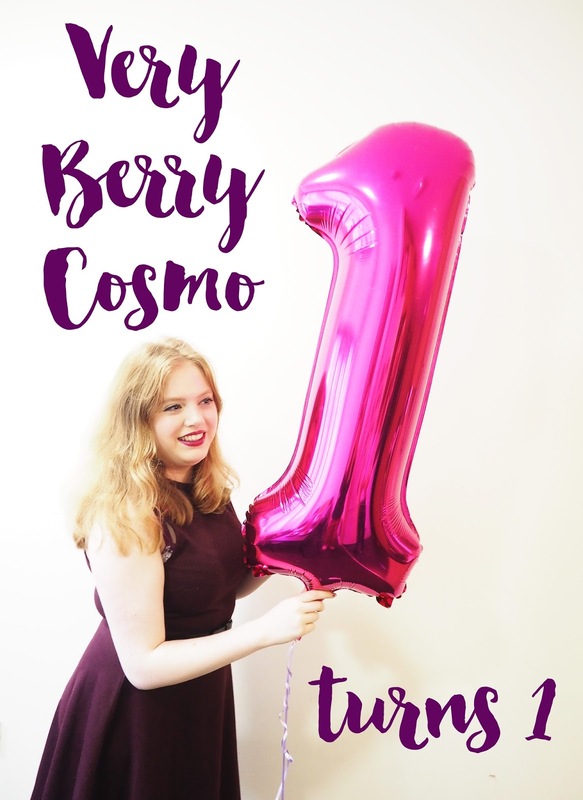 On a cold evening, this very day last year, I decided to sit down and type up my first ever blog post on Very Berry Cosmo! I was at a point in my life where I was badly struggling with the nasty condition, that is OCD, it made me feel rather lonely, all of the time. I was on my year in industry, working full time, not having an awful lot to do outside of work to distract my wondering mind. My course friends were all over the country / world on placement, and my other friends in Leeds were all very busy getting on with their final years. I had been reading blogs and watching Youtube for a long long time, and I think I just felt like, why the hell don’t I give this a go?! Who’d have thought I would have kept it up for an entire year?! But I just bloody love it… So much so, that pretty much my entire social life revolves around my little internet platform. Of course this post contains cake. and LOTS of beautiful strawberries, would you seriously expect anything less from me? Also, before anyone makes a comment. Yes, my ‘1’ balloon that I am happily posing with looks a little bit like an inappropriate object, kindly pointed out by my housemate, but it is a 1. Trust me. I’m not fully sure where my ‘blogging moment’ began, but I do remember a certain post which I kind of think ‘changed everything’ for my berry filled world. And that is my Living With My Pale Skin post back in January. I received far more comments than I ever had before and I just couldn’t believe it. Each comment on my posts makes me grin like crazy, and even though I don’t always reply back, I do read every single one of them, and they make my day. I apologise for not replying to comments, but it is something that I am hoping to change in the near future. 1) Because growing up, I was always told English was my weakest subject out of maths and science, rarely being complimented on my writing. 2) I work really hard on what I choose to write about on my blog. Because there are so many lifestyle blogs out there, I like to try and be different with my posts. I love that you notice this. If a company does contact me, I do spend quite a lot of my time trying to tailor it to be ‘different’ since over the last year I have learnt that I don’t really like doing reviews, I feel I want my readers to get something out of each or learn something with each and every post. If you asked me a year ago, would I ever write the letters OCD, linked to my name on the internet I would have laughed in your face. I wasn’t embarrassed, I just worry about the future a lot. But OCD does not define me, I still get on with my life, I am running this blog, as well as working alongside a degree, I am a capable, strong, woman – I want to help people out there who may suffer from the condition, but I also want to educate people about it too. Has my blog changed me as a person? If I were to answer this simply, it would be yes. But you guys know me far too well now to be simple. I like to waffle on and on and have a good chat to you. Other than things like using words such as ‘pigmented’ and taking photos of everything I think looks pretty, I feel more confident. I still am a COMPLETE shaker and nervous wreck when I have to do presentations in front of people, but I feel I stutter less – which is great! I usually don’t even have notes any more either, score! There are many ways that blogging has changed me, but I thought I would attempt to keep it kind of short and sweet. There is another way that blogging has had a huge impact on my life…. MY LIPSTICK OBSESSION. Before blogging I really wasn’t all that fussed about lipstick or anything like that really. But now I just flipping love a good lipstick, Oh.. I am sure you are all aware. It’s a costly problem, but a pretty problem. Nothing beats a statement lip. I have been blessed with a wonderful bunch of girls that I talk to on a daily basis, on our whats app conversation. I feel like I fit in with them, and I can be myself. We talk about anything, there are no judgements in this conversation. It is great. I don’t even call them my blogging friends… they are simply my friends, and they are flipping awesome. 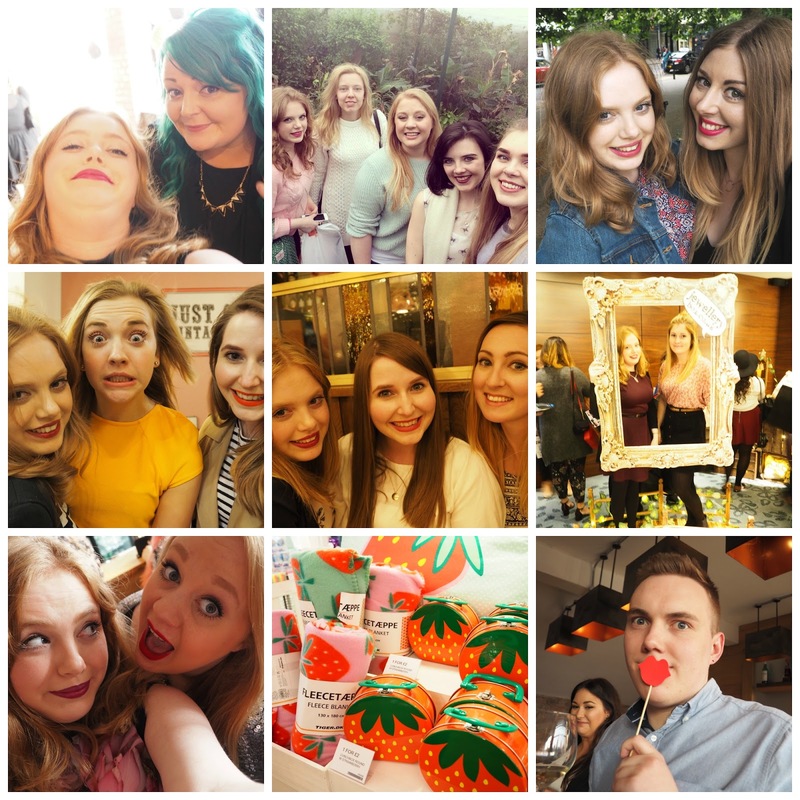 I even went on a little blogging holiday away with *most* of them to a beautiful little cottage! Being a blogger in Leeds is fang-bloody-TASTIC. (see what I did there? Getting my Halloween lingo on guys’) I feel very lucky to be within a network of lovely girls. . . and joe 😉 that I get to see really very often. Oh…. and we consume a fair good amount of cocktails between us! I would love love love to meet more of you wonderful beings one day. All of you have made Very Berry Cosmo into what it is today, and I am so grateful. Next Post GIVEAWAY | A Very Berry Giveaway! What a lovely post! I've read a lot of birthday posts over the years and this one certainly stands out from the crowd. I can't believe VBC is only a year old, I thought you were around long before me. Happy blogiversary VBC, here's to many more years *cheers*. Congratulations! I definitely thought you had been blogging for longer than a year! Hope the next year of blogging brings you lots of lovely times! Congrats!!! A whole year must feel pretty amazing, here's to another year! Happy 1 year anniversary! and Congrats too! Congrats on having your blog for a year! I honestly thought you'd been blogging for much longer, but you have done so well for the amount of time you've been doing it for! Happy 1st Birthday VBC! You have achieved so much in just a year! Go you! Who knows what the next will bring but I'm sure it's going to be all kinds of fun and super exciting! You are honestly one of the most beautiful, inspiring girls I've had the pleasure of actually meeting IRL and you're such a genuine joy to know. You're also so strong and persevering and I extend all the hugs for being as brave as you are. Happy first blog birthday, darlin'. And here's to many, many more. Congratulations! That is quite an accomplishment! I really enjoyed reading your journey thus far and look forward to many more years of blog posts! Congratulations on a year of blogging! It's an amazing achievement and you have done so much in that year! Congratulations! I had definitely assumed your blog was older than it is! I've really enjoyed reading your posts and hope there are many, many more to one. Happy Happy Happy blog birthday my beautiful berry!!! You deserve every single lovely comment /tweet etc because you are bloody amazing. I am so please that you started blogging, not only because you have a FABUOUS blog but because it also meant I was able to meet you and that is such an incredible thing. I loved our catch up yesterday and can't wait to see you again. I am so incredibly pleased that i have met you through this and can't wait to se what is to come. Congrats on your first year! And what an amazing year it looks to have been! Lovely post. I can't believe you've only had your blog for a year, your writing style is bloody amazing! Aw Kayleigh this is such a lovely lovely post!! 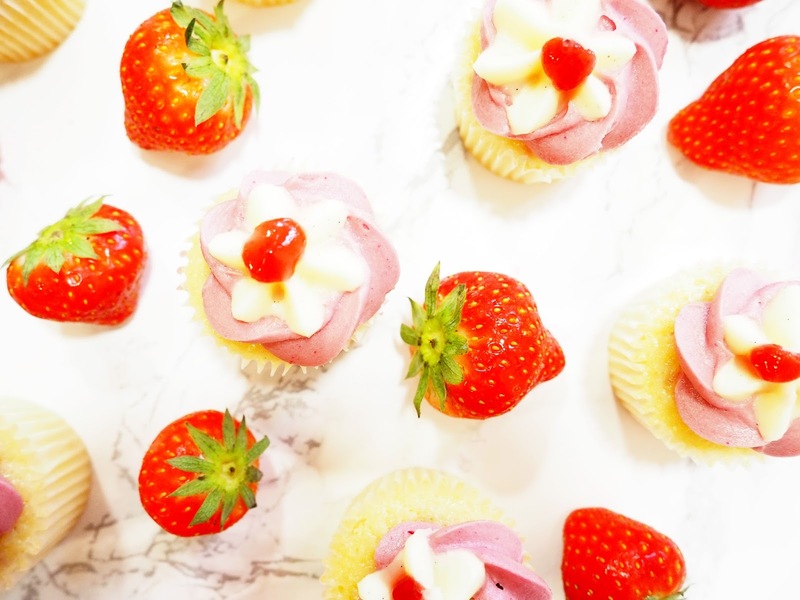 🙂 I couldn't agree more about how brilliant it is to be a bloger in Leeds 🙂 Your blog is awesome and I can't believe it's only a year old! well done lovely!